The “Eid-ul-Fitr” (also called ‘Eid-e-swagheer) is the great festival day which marks the end of the month of Ramadwaan. 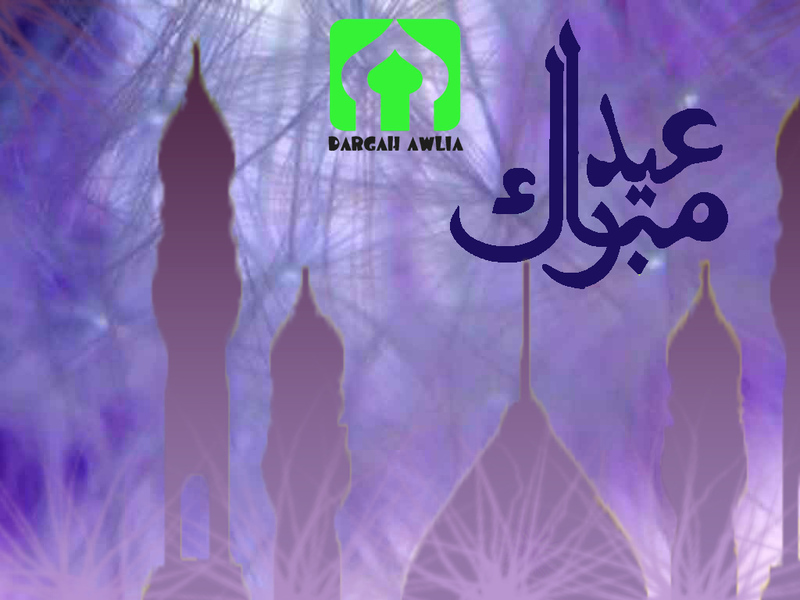 It is celebrated on the 1st day of the month of Shawwaal (10th month of the Islamic calendar). On that very day of festival, fast is prohibited (roza haraam). By the way, we hereby remind you that there are 5 days in the Islamic year on which fast (roza) is prohibited. They are the ‘Eid-ul-Fitr (1st day of the month of Shawwaal), the other festival which is the ‘Eid-ul-Adha or ‘Eid-ud-Duhaa (10th day of the month of Zil-Hajj) and the 11th, 12th and the 13th day of the month of Zil-Hajj. The arabic word “eed” means satisfaction, joy et festivity. Can you imagine the joy that can feel, for example, a student who worked very hard for a given period, the day when he will get his diploma at the end of his studies. Imagine the joy of the farmer who plowed and sown during a whole season, when he will enjoy the fruits of his harvest! You will then understand the reason for which Allah ta’ala founded a day of festival especially for the fasters (rozadaars) in order to reward them for their efforts of sacrifice and ‘ibaadats during the whole blessed month of Ramadwaan, while waiting for other rewards insha-Allah in the hereafter (aakhirat). On that very festival day, it is recommended to take a special ‘Eid-ul-Fitr “ghussal” (great bath), to accomplish the namaz Fajar in jama’at (congregation), to eat an odd number of dates, to wear clean clothes (new ones if possible), to perfume oneself with attar (non-alcoholic perfume), to put the surma (black on eyes) before stepping out for the mosque (for men) if possible on foot to go accomplish the namaz of Eid-ul-Fitr in jama’at (congregation). Don’t miss the khutbah (sermon) just as for the namaz Jummah, since the namaz only is not valid (unbeneficial) without its khutbah. Go with prior “wazou” (l’ablution). Change the way upon return, which means to come back on a different way than you went. The Sadqa-é-Fitr (FITRA) must be given before the namaz of Eid-ul-Fitr at a rate of one share per person of your family, alive at dawn of the day of ‘Eid-ul-Fitr. Seize the opportunity to give alms and make charity on this festival day (as i twas the case during Ramadwaan) while thinking of the poor and needy ones. Bear in mind that the holy prophet ( peace be upon him ) of Islam made much for the poor, orphans, and this all the time and especially on feast days. Make sure to attend all the program of namaz of ‘Eid-ul-Fitr at the masjid (mosque), englobing the namaz, the khutbah (sermon), tilaawat-ul-qur’aan (holy Koran reading) and the other activities attached to the event. Make accodances (muswaffah) with your brothers and do forget your resentment, fraternally forgive one others. Don’t forget that we shall all be brought together on the last day of judgement (al-Qiyaamah)! I. Yaum-ur-Rahmah: The Day of mercy. This is the day when the Muslim Ummah unite and make peace with each other. III. Yaum-Ut-Takhleed: The Day of creation of Paradise. This day was when Paradise was created. IV. Yaum-Ul-Intokhab: The Day of Decision for Revelation. (a) Eid is called Eid because it comes back every year. (b) Also, because on this day Allah’s blessings return back to mankind. (c) Also, because the believers return from Farz to Sunnah on this day. Sadqa-e-Fitr is the charity of the fast of the month of Ramadaan. It aims at cleaning one fasts from any indecent action and absurd works. Its purpose is also to help the poor people on the occasion of Eid. Imam Shafi’, Imam Malik and Imam Hambal (RA) considered Sadqa-e-fitr as Farz (Obligatory). However, Imam Abu Hanifa (RA) consider this sadqa as Waajib (Binding). Sadqa-e-Fitr is waajid on every free Muslim whose Nisaab is free from essential needs. – Sadqa-e-Fitr should be paid before Eid prayer, and if not paid, then one should pay it anytime in one’s life. – Sadqa-e-Fitr is waajib whether or not one has observed fasts. – It is not the responsibility of one to pay Sadqa-e-Fitr of his parents or grand-parents. If paid, without their permission, it would not considered valid.